Ahmed El-Shafei Solo Exhibition: "Return of the Pharaoh"
Luxor Art Gallery celebrates the first solo exhibition in Luxor of artist Dr. Ahmed El-Shafei: "Return of the Pharaoh"
Presenting over 20 massive artworks inspired by ancient Egypt, Ahmed El-Shafei's ambitious paintings—created with mixed media and experimentation with fire, smoke, charcoal, and oils—overwhelm the viewer in dreamscapes that are like portals to the past, passing through unearthly dimensions that transcend time, like a vision quest. To be in a room surrounded with Ahmed's art is akin to standing in a temple itself, confronted with sacred manifestations. Here is a voice from a true heir of Egypt's great and ancient divinity, speaking devoutly of his ancestors, full of faith and passion, inspired and reverent, yet original, exciting, and contemporary. 3 Month Anniversary of Luxor Art Gallery and Exhibition Opening!!! Condé Nast Traveller Middle East is the leading luxury travel lifestyle magazine. Condé Nast Traveller Middle East is the leading luxury travel lifestyle magazine. Award-winning photography and features provide inspiration on all things travel, from destinations and hotels to food and fashion, both in the Middle East and beyond. As the most trusted source for travel information in the region, Condé Nast Traveller Middle East hosts the annual Readers’ Choice Awards, the gold standard of travel awards, voted for by our readers, celebrating the best travel and hospitality operators and experiences around the world. This is the truth in travel. Thanks to everyone who attended our opening reception for the 2nd Luxor Art Gallery Exhibition! The new exhibition is open 11am to 11pm everyday! Come back and visit and be sure to sign our guest book! Thanks to everyone who came to enjoy an evening of art, music and conversation with us under the full moon. The gallery is open 11am to 11pm everyday. Come back and visit and be sure to sign our guest book! Thank you to all! We are honored to have had the presence of hundreds of our friends, artists, colleagues and guests at our Grand Opening Exhibition for Luxor Art Gallery! Words cannot express our awe and appreciation of the support, enthusiasm, and excitement expressed by everyone who came! The gallery is NOW OPEN 11am to 11pm everyday! Come back and visit and be sure to sign our guest book!!! Thank you to all! On exhibit from November 10 to mid-December, 2018. Showcasing creations of local and international artists, Luxor Art Gallery is giving a lifeline to the city's contemporary art scene. As one of Egypt’s most historical areas, Luxor is a treasure trove of temples and artifacts that tell tales of another time. It’s no surprise then, that some of the country’s most talented artists are emerging from a gem that is filled with inspiration at every turn, from its historical monuments, to its beautiful greenery. Shedding light on these talents, is the most recently inaugurated Luxor Art Gallery, set to open its door on the banks of Luxor in November. The Luxor Art Gallery is showcasing the works of both local talents and non-local artists who've found their inspiration within the city's beauties. The grand opening exhibition, which will be on the 10th of November is set to feature 19 artists, including some of Luxor’s most sought after talents, the likes of Alaa Awad, Ali Hassaan, Yousra Hafad, Ahmed Saber, Brian Flynn, Wael Nour, and Shaza Khalid, among others. Coming as an initiative aiming to provide a platform for Upper Egyptian contemporary artists, the gallery looks to place these artists under the spotlight and gives them an outlet into global recognition. As Luxor is already a popular destination among tourists, the gallery’s location in the birthplace of the world's civilisation, is optimal to showcasing local contemporary artists. The gallery will also be putting Luxor back on the map as a cultural destination that celebrates both its past and its future in showcasing its contemporary talents as well as taking pride in their monuments from a time foregone. Luxor, which already boasts of its own art school at the South Valley University, does not yet have any galleries for local artists to showcase their works as well as to display them to those coming in from all over the world to experience the city. These artists draw the inspiration of their works from having been bred in Luxor or having come and fallen in love with its heritage and beautiful landscapes. 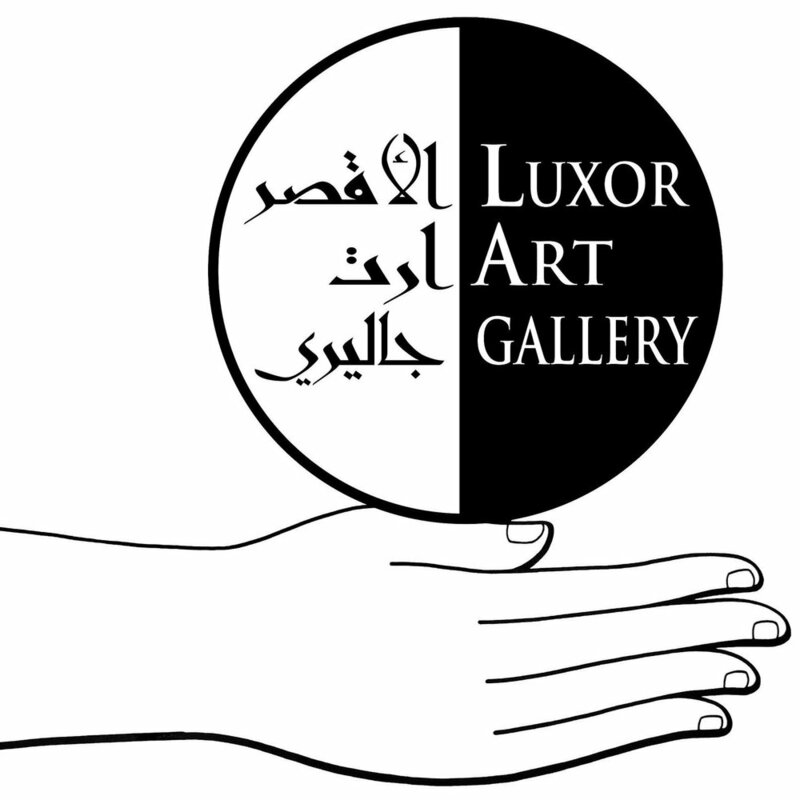 Luxor Art Gallery's NEW SPACE! Luxor Art Gallery is pleased to announce our new space in Ramla, West Bank, Luxor! 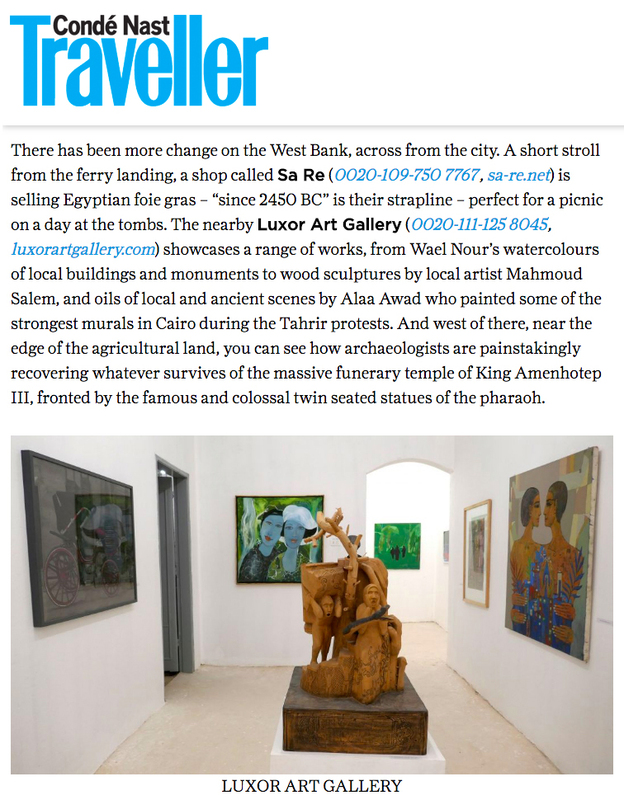 Here's what friends of Luxor Art Gallery are saying! Instagram Friend: This is seriously a project I would whole heartedly support. Living in Luxor and having met some of the most talented artists, it is sad that there isn't a proper gallery where their work can be seen and promoted. So if you're one of those people who believe in supporting extremely talented artists whose works would otherwise not be seen by the outside world, then this is your chance. Ayman: Good Luck making our ancient city a modern cultural destination. Susan: Thanks for introducing us to some fascinating artists. I look forward to every post for more discoveries. Ahmed: Best wishes for the new art space in my lovely city Luxor - the Sun City. Thank you for this awesome collection. Joseph: This is something I am looking forward to, I am sure it shall be enchanting! And some of the contributors and organizers are friends of the family. Best of luck guys. One love. Katrina: So much great talent in Egypt. Truly a value for society and all who invest in art. Sarannah: What a fantastic idea! I am so excited to see it opening. This will be a godsend. George: Thank you very much for the invite to The Luxor Art Gallery! A feast to the eyes! Wael: Thank you for your great idea. Valerie: Looks wonderful. Will come through to visit it. Gamal: We support this edifice. Marisol: Best of luck with the project, I think it is wonderful! Allison: This is SO exciting! I wish you luck with these beautiful artistas! Sybil: Looks wonderful. Expressive modern art. Monlca: Exciting and so beautiful! Experience a virtual exhibition video of Luxor Art Gallery and discover some of our favorite artists that we feature on luxorartgallery.com and who are invited to particpate in our first exhibition in Fall 2018!